Ever thought of being the voice in an animated series, movie or audio book? Discover how you can break into this booming industry! Get tips on making the right demo, to finding an agent and more. Learn how to make your voice stand out! Samora Smallwood is a bilingual Actress, Writer, Cool Feminist & co-chair of ACTRA's Diversity Committee, Council Person at ACTRA. She is the founder of The Actors Work Studio an innovative acting studio in Toronto. 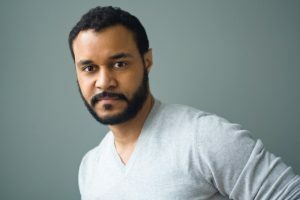 Samora's recent on-screen work includes The Expanse, American Gods, The Coroner, The Shelter, Shadowhunters, and Frankie Drake Mysteries in a story about white passing & black identity in Canada directed by Sudz Sutherland. Samora's passion is telling fresh stories and promoting diversity on-screen and behind the camera. She was recently a jury member for The Female Eye Film Festival as well as a selected participant in The Reelworld Film Festival's "Emerging 20 Program". Millie Tom is a 2017 Canadian Screen Award Winner for Best Achievement in Casting which she shares with Deirdre Bowen, for their work on CBC series, Kim’s Convenience in its debut season. Toronto-based Casting Director with wide-ranging experience in casting series, shorts and features for film and television with special experience in diversity casting. As an independent Casting Director, Millie has worked with many of Canada’s finest directors, including: John L’Ecuyer, Jerry Ciccoritti, James Genn, Richie Mehta and Kate Melville. She has worked on independent features such as Picture Day, A Sunday Kind of Love and the recently wrapped feature film The Education of Fredrick Fitzell. As a Casting Associate with RDC Casting she helped with casting on Scott Pilgrim vs. the World; The Lookout; The Incredible Hulk (2008). Additionally, Millie is proud of her work with John Buchan Casting on Olivier Assayas’ feature film Clean, starring Maggie Cheung and Nick Nolte for Rhombus Media. Most recent credits include Ubisoft’s video games, Far Cry 5 and the 18th season of the docu-drama series, Air Emergencies/ Mayday for National Geographic (USA) and Discovery Channel in Canada. And currently Audio-Book casting for Penguin Random House Canada. She recently joined the Seneca College Faculty of Creative Arts and Animation teaching Auditioning for Camera. Julie Lafontaine grew up in Montreal with French as her first language. She went to school at Villa Maria and played competitive tennis becoming one of Canada’s top juniors. In her mid-teens, she won an athletic scholarship at Pensacola Junior College. After coming back from Florida, she studied marketing at Concordia University in Montreal. In 1990 she and her husband moved to Ontario to pursue exciting career opportunities. By some twists of fate, Julie started her career as a talent agent learning the ropes at the Sloan Agency where she worked for 8 years. 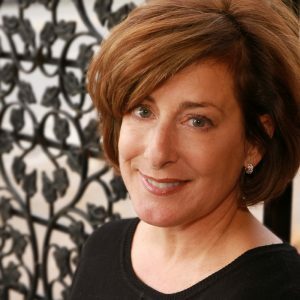 In 1999 she founded Fountainhead Talent Inc. Home to some of the finest actors and voice over artists in both English and French, the agency has grown to be recognized as one of the most respected and reputable agencies in the country. Fountainhead Talent is a TAMAC member and prides itself on representing union affiliated talent. Julie has been very active working on various committees for both ACTRA and UDA. Fountainhead Talent will be 20 this year but we are told by reliable sources, we could still pass for 18! Lindsay Owen Pierre is a Calgary born, Montreal raised, Canadian Actor/filmmaker. Graduating from John Abbott College’s theatre program in 2000 he has since gone on to perform in film, theatre and video games all across North America.Theatre credits include performing in Toronto’s highly acclaimed production of We Will Rock You, One Little Goat’s peculiarly loved The Charge of the Expormidable Moose, Black Theatre Workshop’s (Montreal) production of The Meeting among many others. In film and television he has appeared as Maclom X in Lifetime’s Betty & Coretta opposite Angela Bassett and Mary J. Blige. He has also been seen in fantastic productions such as White House Down, The Strain, The Listener, Private Eyes, Murdoch Mysteries as well as many other shows and commercials over his career. He has also kept busy working in voice and mocap for exciting video game franchises, including Assassin’s Creed, Splinter Cell, Ghost Recon, Farcry and Deus Ex. He presently keeps busy with writing and producing short films and short stories. 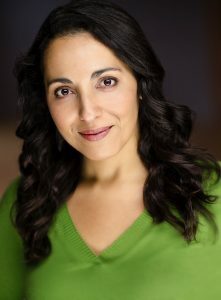 Montreal-born bilingual actor Christina Tannous started her performance career as an opera singer, performing as a soloist with various Canadian organisations such as the Montreal Symphony orchestra, the Orchestre Métropolitain and Opera Lyra Ottawa, to name a few. 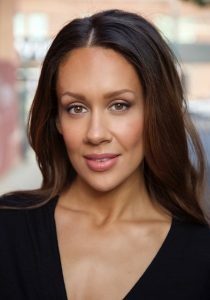 Her desire to pursue acting came naturally and today, Christina works regularly in TV & Film, theatre, voice-over and commercials in both official languages. TV & film credits include appearances in Good Sam, Workin’ Moms, The Art of More, Designated Survivor and Les Simone. Voice-over work include credits for Assassin’s Creed: Origins, Les Copains Carlins and Amélie & Cie. 2018 was an exciting year for Christina, marking her debut at the Centaur Theatre in Montreal in the play The Baklawa Recipe for which she received a best supporting actress nomination at the Meta awards, as well as a debut in the francophone theatre community in Montreal in the play L’Assemblée, presented at the Espace Go, produced by Porte Parole.